Forget that diamond engagement ring – this prismatic, light-reflecting highlighter is a one-of-a-kind. Infused with real crushed diamonds (yes, you read that correctly, REAL diamonds) this hypnotic highlighter creates a bespoke glow each time you use it. Available in three shades, pick from 'Diamond Fire' an iridescent neutral, 'Canary Diamond' a rich burnished bronze and gold or 'Fancy Pink Diamond' a pure pink and rose gold. Crafted by make up artisans, the liquid-to-powder formula is hand-poured, ensuring that no two finished highlighters will ever look the same – just like a real-life diamond. 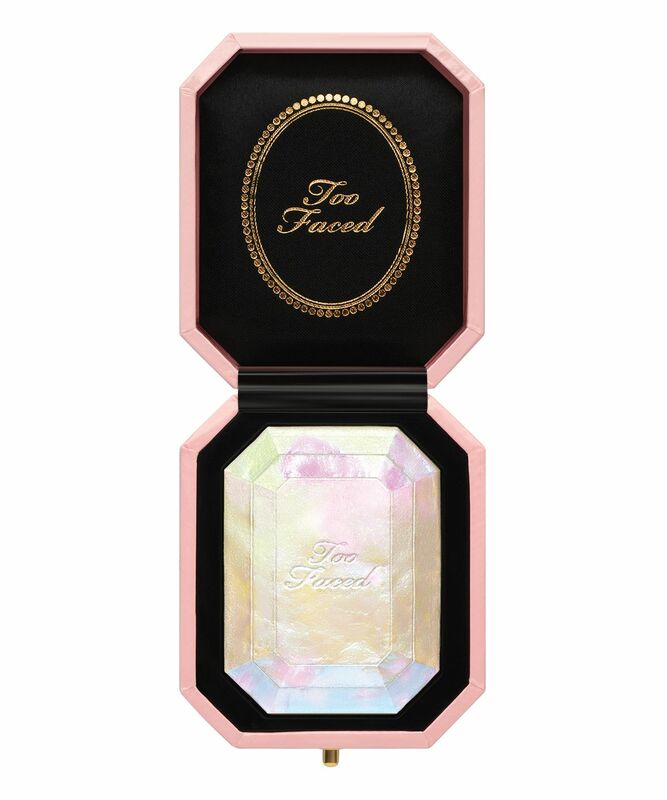 Absolutely guaranteed to be your new best friend, Diamond Highlighter by Too Faced stars real crushed diamond powder and light-reflecting pearls to ensure your most dazzling, radiant glow yet. Immediately lighting up any complexion, there's a highlighter to flatter every skin tone and creates a bespoke colour each time you use it. Available in three shades, pick from 'Diamond Fire' an iridescent neutral, 'Canary Diamond' a rich burnished bronze and gold or 'Fancy Pink Diamond' a pure pink and rose gold. In fact, each highlighter is hand-poured by make up artisans, ensuring that no two are the same – just like a real diamond. Beautifully buildable, the formula blends easily and can be used on eyes, face and body. Sweep onto high point of the face or wherever you want to create diamond-like radiance. Absolutely love the newest addition to my highlighter collection. Definitely worth the hype. I'm in love! This Highlighter is so pretty. I have pale skin and it gives my skin such a perfect glow. One day I wore it without any other make up and got so many compliments on how healthy I look. Confidence boost from 0 to 9000. 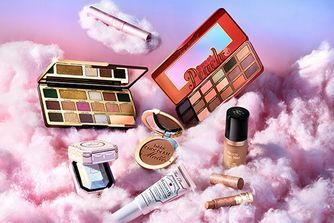 Also the packaging is beautiful, it lasts forever (as in the product itself and on the skin). Absolutely worth the money. Omg, I have searched and searched for the perfect highlighter and have just found it. This is absolutely amazing. 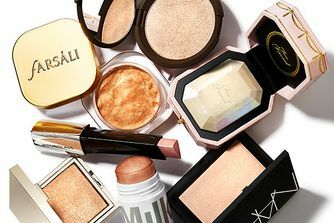 Holy Grail of highlighters!! AMEN!! This highlighter has the shine and the last I was craving for-not too wet-not too powdery. It will probably brighten up your day and future. This is wow!! 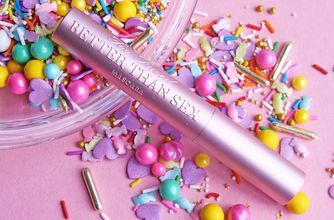 Looks gorgeous on and lasts all day. This is a must for every lady. Best highlighter I’ve ever got. Best too faced highlighter so pigmented 100% worth your money. This is absolutely the best highlighter I've ever used! It is worth every penny and the packaging is sooooo amazing. Really great product. The very best, most beautifully packaged highlighter ever. I’m in love too. I didn't think I'd love this as much as I do, but I really do. Very long-lasting finish, lovely shimmery glow, and the blue tones in it are really nice against my super pale skin. Lasts so long and is so shiny. Definitely, recommend this. Wow, what a gorgeous glow this gives, long lasting too. Absolutely love this, best highlighter I’ve ever got.